UPDATE: Now pin your favorite characters to your start screen for easy access to their profiles! Are you a Marvel Comics Fanboy? Have an opinion on who would win in a cage match between The Hulk and Wolverine? If so, this app is for you! We bring the Marvel universe to your finger tips through our simple and easy to use interface. With over 80 full episodes from the animated series (Avengers, Fantastic Four, Spider-Man, and X-Men) there is plenty of content to keep you satisfied and coming back for more! 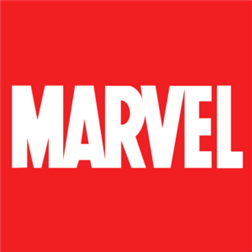 Browse the characters of the Marvel Universe. We bring all the best content into one easy to use place. Pin your favorite characters to your start screen for easy access to their profiles! Please review this app! We always appreciate feedback from our users and we definitely take feature requests seriously. So please feel free to leave a suggestion when you rate and review the app! Thanks and we hope you enjoy the Marvel Comics Almanac.